Best described as a racket sport that combines the elements of tennis, squash and badminton, padel is taking the world by storm. Its Spain’s second-most popular sport after football, and currently the fastest growing sport in the world, which is unsurprising as it offers a fun and social game for all ages and abilities! The sport has already made a vivid impression in areas of South America, Spain and the UK but as you may have guessed, it is particularly popular in Barcelona! Take a look at our guide to all things padel so you can discover the sport for yourself! The game was invented in1969 by Enrique Corcuera, a Mexican billionaire whose mansion lacked the space for a full-size tennis court. Shortly after the game’s inception, padel was introduced to Spain by Prince Alfonso of Hohenlohe after spending a holiday at Corcuera’s house. Prince Alfonso brought the unique fusion sport to his high-end Marbella Club hotel where visitors quickly became familiar with the game. This was a key factor which led to its boom in Spain, where the professional circuit of the World Padel Tour is hosted. Padel is typically played in doubles and uses small fibre paddles with perforations, rather than strings. 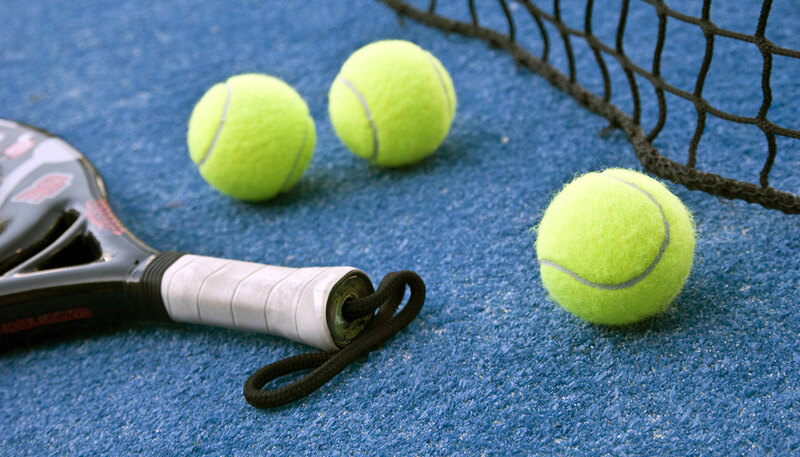 Padel balls are similar to tennis balls although they often have less pressure in order to adapt to the smaller sized court. The scoring system is the exact same as that used in tennis, but all serves must be underarm and the ball can bounce off the walls surrounding the court. As well as this, the ball must bounce on the ground before touching any structure, and can then be played again before the second bounce. Volleys are also encouraged, similarly to tennis! To read the most updated version of the rules in more detail, take a look at the official World Padel Tour website. 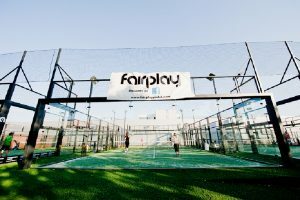 Located in the Sants-Montjuïc district, Fairplay Padel Club offers eight padel courts that can be reserved online. 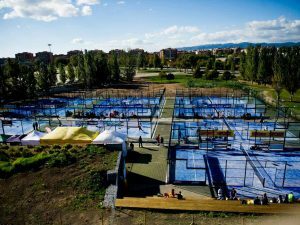 Here, you can also take padel classes, book teambuilding and private events or participate in leagues, events and tournaments. What’s more, there’s a bar/café that offers 1 hour of padel and one dish from their daytime menu for 12euro! 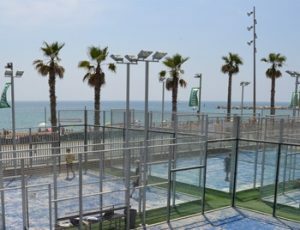 With four pristine courts located in a sports club overlooking the beach, Club Natació Atlétic-Barceloneta is the perfect place to enjoy a friendly game of padel in the Mediterranean sunshine whilst enjoying the fresh ocean breeze. At CNAB, they also offer classes for both children and adults as well as other sporting facilities. Additionally to tennis, Club Tennis de la Salut has nine group padel courts as well as one individual court for practice. This club also offers lessons for both children and adults of different abilities and hosts competitions throughout the year. After a challenging game of padel, you can also enjoy a refreshing drink and bite to eat in one their restaurants or snack bar, or why not enjoy one of their other activities like Zumba or yoga! 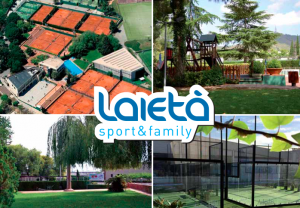 Teamwork, positive energy and fun are just a handful of the values held at Club Esportiu Laietà, a club that encourages enthusiasm towards any sport! Here, you can learn to play padel on one of their eleven courts or attend padel classes with Juan Alday. As well as this, Club Esportiu Laietà offers the option to participate in a variety of other sports or simply enjoy a post-workout dip in the pool or relax in the sauna after a fast-paced padel game. Located slightly further out from the centre of Barcelona, Padel Barcelona – El Prat is a padel club that offers classes for all ages and skill sets. The growing popularity of this sport means clubs such as Padel Barcelona – El Prat can respond by hosting tournaments and competitions. The club turns padel into a lifestyle for many due to its large outdoor terrace, indoor restaurant and social events, creating a community feel and a club where boredom doesn’t exist! Meetup is an app and website designed to help people find others who share similar interests as they have. It’s great for meeting up with others that want to play padel or tennis, attend a book club, do yoga or participate in many other activities and hobbies. Make sure to keep an eye out for padel Meetup groups to meet others passionate about the game and of course, to improve your skills whilst having fun! Tournaments and competitions are being held all across Barcelona, no matter what your age or ability. 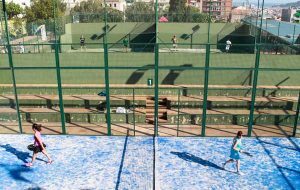 Many clubs, such as Fairplay Padel Club and El Prat offer local tournaments in the city, whilst Barcelona Padel Tour organises tournaments that take place once a month where each registered player is guaranteed two matches. Likewise, the World Padel Tour organises international tournaments due to the games rapid growth in popularity across the globe. Excited fans gather to watch professional padel players compete, so if you ever fancy break from playing padel, watching is also an option! This entry was posted in Activities, Events, Home, Places, Things to do, Useful Information and tagged #sports, barcelona, barcelona activities, Barcelona Sport, Padel, Padel Guide Barcelona, Padel in Barcelona, Play Padel, Sport in Barcelona, things to do in barcelona. Bookmark the permalink.